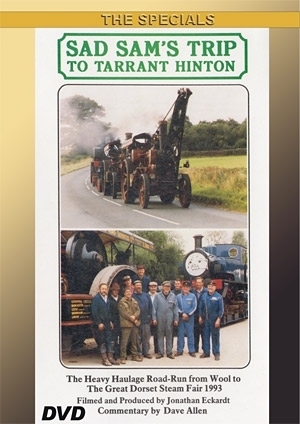 For the 25th Anniversary of the Great Dorset four Heavy Haulage engines travelled to Wool to transport 'Sad Sam', an engine of the Swanage Railway, to Tarrant Hinton. It was a wonderful Saturday in August and the long route through the sunny Dorset countryside was lined with hundreds of enthusiastic supporters. 'Sad Sam' was left two miles short of the showground at Pimperne until his entry on the first day of the Show. The haul up the steep hill out of Pimperne and the drive through the packed Steam Fair provided a stunning opening of the 25th 'Great Dorset'. Four Heavy Haulage engines hauled "Sad Sam", an engine of the Swanage Railway, from Wool to Pimperne. It was a wonderful Saturday in August and the long route through the sunny Dorset countryside was lined with hundreds of enthusiastic supporters.